Ever since she appeared in the popular drama Boys Over Flowers that was airing in 2009, Kim So-eun’s fame has been rising up and people kept mentioning her as a naturally beautiful girl. She looked innocent when she was playing a supporting role, namely the heroine’s best friend in that drama. The public believed that she was pretty ever since she was a child. If we look at her pictures prior to her debut, we can see that she was already a true beauty since she was a child. However, the public has noticed that her nose is different from when she was starring in a web drama called Falling for Challenge, along with EXO’s Xiumin. Her nostrils looked so strange at that time. Is she truly a natural beauty? Or has she done some procedures on her nose? Channel-Korea has compiled some pictures to compare whether she is a natural beauty or she has done plastic surgery. Kim So-eun debuted in 2009. Actually, when she was a child she was trained as a national athletic skier. She had been scouted as a professional model a 2003 junior advanced skiing and snowboarding competition in Pyeongchang. Unfortunately, she didn’t choose that path as her career. Kim So-eun’s fame rose when she was starring as Gaeul in Boys Over Flowers. She portrayed Gaeul’s character really well as if she herself was Gaeul. She got a lot of fans due to her innocent charm and her pretty face. The public began to dig her pre-debut pictures to prove that she is a natural beauty. If we look at the picture above, she looks exactly the same: from the time when she was just a child until starring in Boys Over Flowers. She looks pretty and innocent. Her nose has been well-shaped already ever since she was born. If we look at these pictures, we all have to agree that she is a natural beauty. However, the attribute natural beauty didn’t seem to last long among the public. 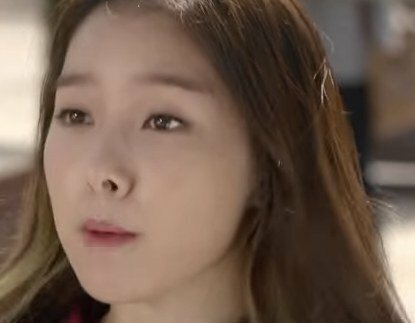 When she was starring in a web drama created by the Samsung Company, called Falling for Challenge, her nostrils started to look odd. In 2015, Kim So-eun was chosen to play in a web drama along with Xiumin, a member of the popular idol group EXO. The story is about a part-time worker and a girl who is dreaming to be a developer of a food truck app. They incidentally run into each other and slowly develop a relationship over their subsequent meetings. The web drama became the most watched web drama in 2015 with 21,124,965 views. 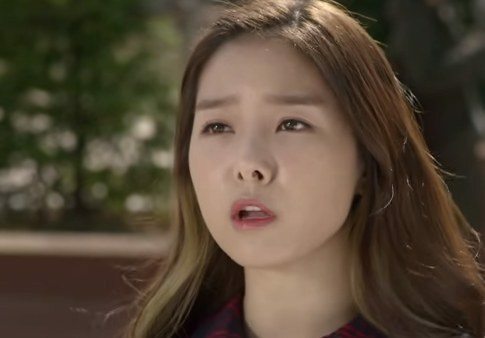 Unfortunately, due to this drama, Kim So-eun’s attribute natural beauty got questioned by the public. This happened because her nostrils looked odd in the camera. The public speculated that she had done some work on her nose. It is well known that when someone gets work done on his/her nose, their nostrils would look strange and they will seem unbalanced with the nose. Let’s look at the pictures below. As you can see, her nostrils seem to be unbalanced with each other. There seem to be differences; one of her nostrils looks bigger than the other one. But, some people defended her by saying: “It might be a camera angle,” which makes sense. Let’s compare her picture from the time of Boys Over Flowers with a more recent one. If we look closely at the pictures above, we can spot slight differences in her nose. In the second photo, the tip of her nose looks higher than before, also, her nose looks sharper and better shaped. We can’t confirm whether she had a procedure done on her nose or not, because she never talks about it. Nevertheless, she looks pretty and gorgeous both before and after.